Thanks for stopping by. My username around the web is arschles and I blog here and a bunch of other places. I write mostly about Go, Kubernetes and emerging languages here. Read more about me, check out what I’m working on and communities I work with, or find out about what I speak on. 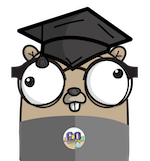 Jan 10, 2019 GopherCon 2019 CFP OMG!